Roots semi hardy, leaves tender. Dies back in cold winter areas. Coriander, Basil, Thyme, Mint, Lemon Verbena, Echinacea and Marigold. Start with a purchased plant and transplant it from early spring to mid summer. Seed can also be started in containers preferably during spring and summer. 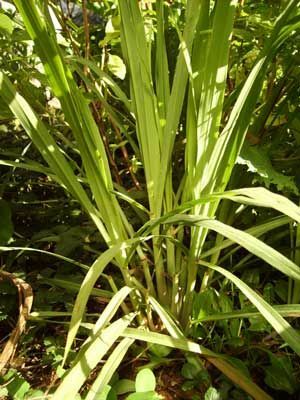 Lemon grass loves being cut back and this will encourage more growth. Mulch well in cold winter areas. Leave the plant to develop some thick stems before starting to harvest.